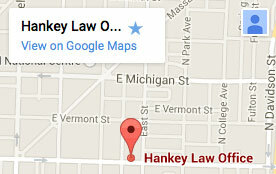 Hankey Law Office > FAQs > Why are most denied claims denied? Why are most denied claims denied? Claims are denied for a variety of reasons, but it is very common for long term disability claims to be denied based on a “pre-existing condition.” This is when the insurance company tries to claim that your disabling injury was the result of a condition that presented itself prior to when you sought coverage. If you have been denied coverage because of a supposed pre-existing condition, then the Indiana LTD lawyers of the Hankey Law Office can help. Contact us today at (800) 520-3633 for the representation you need.